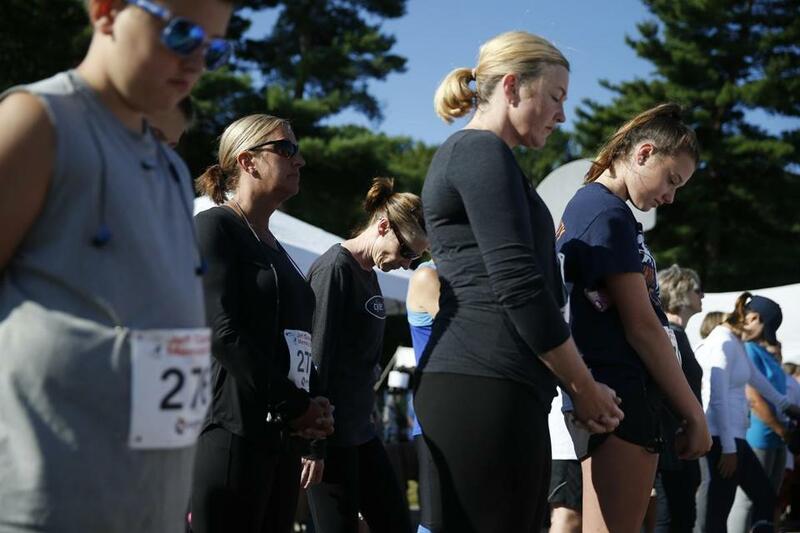 Molly Castle, 14, (right) and her mom, April (center), bowed their heads as a prayer was said before the start of a 5k race in honor of Jeff Coombs, who died on 9/11. Kevin McShane, 16, is too young to remember 9/11. But the Stoneham High School junior will be on the Rose Kennedy Greenway on Monday, helping assemble care packages for the Massachusetts Military Heroes Fund. Like many children his age, McShane came to understand the impact of the attacks on his life through stories from his family and his classwork in school. McShane will join current ambassadors of Project 351, a statewide program that brings together one eighth-grader from each city in the Commonwealth. He is an alumnus of the program, but he spent much of his summer organizing one of about 160 projects to support the Massachusetts Military Heroes Fund. The care packages set to be assembled Monday are the culmination of weeks of work by students in Project 351. Those students, most of them now freshmen in high school, have been collecting donations since early August: powdered drink mixes, instant coffee, creamer packets, and gum. Across the Commonwealth, people are gathering for Masses, vigils, and other ways to remember those who died on September 11, 2001. Casey was at Florian Hall on Sunday afternoon, helping load supplies into trucks. Volunteers on Monday will assemble 500 military care packages for service members deployed overseas, and 500 care packages for the New England Center for Homes and Veterans. “This is our ninth year in doing this care package drive, and what it means to us is that we have a new generation, with our partnership with Project 351, of young people who weren’t alive when September 11 happened but who still understand what it means to remember, honor, and serve,” Kerrigan said. Molly Castle, 14, is the student ambassador for Norwell. A freshman field hockey player at Norwell High School, she managed to get all of her high school’s sports teams and athletic director Ryan Quigley to help collect donations. By working with the athletics department, Castle collected 3,631 items — a mix of powdered lemonade and Gatorade, instant coffee, creamer packets, and gum — 256 cards, and $1,140 to sponsor whole care packages. 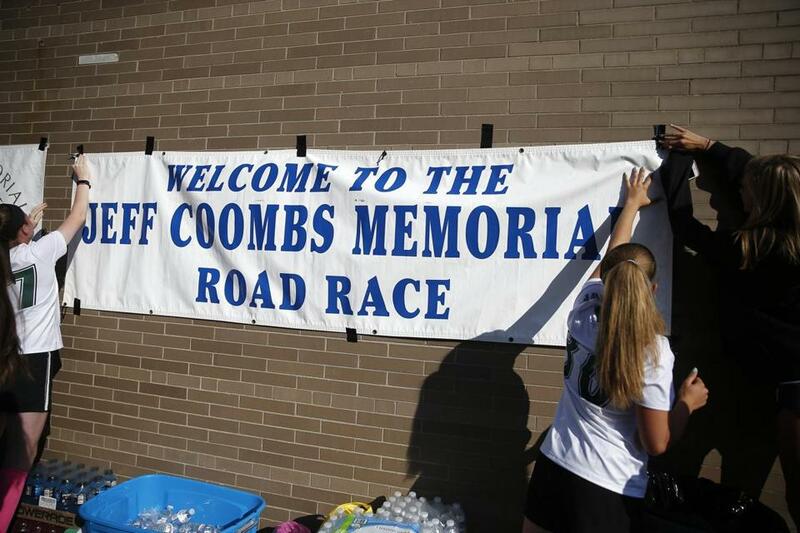 Students hung a banner in honor of Jeff Coombs. 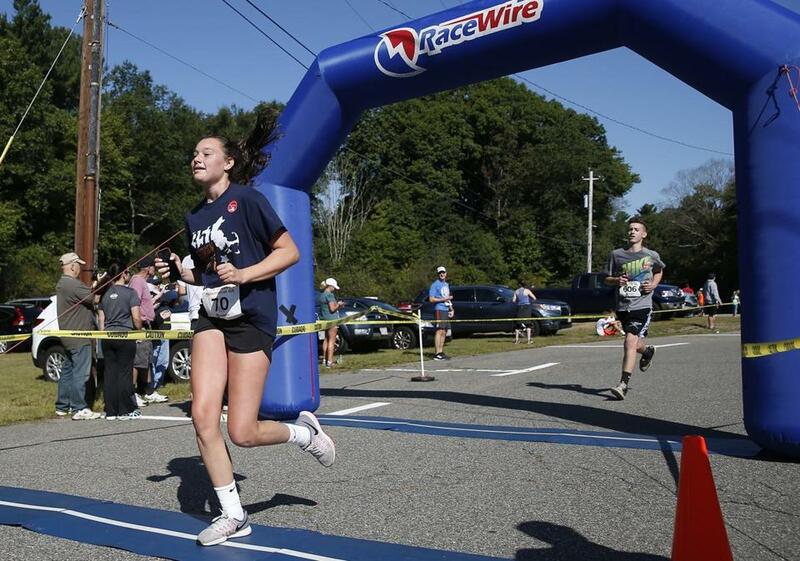 On Sunday morning, Castle and her mother also raced in the 16th annual Jeff Coombs Memorial 5K, Walk, and Family Day to commemorate Jeff Coombs, an Abington man who died on American Airlines Flight 11. Celia Sarmanian, 14, organized collection drives in Revere. Working with family members and neighbors in the Revere Veterans Office, the Revere Police Department, the Revere Farmers Market, and the Greater Boston Concierge Association, she collected 2,900 powdered drink packets, 420 instant coffee packets, and 106 cards written to soldiers overseas. After her year with Project 351 finishes in December, Sarmanian plans to keep working with the local veterans office to help train dogs to work as service animals for veterans with post-traumatic stress disorder. Kerrigan is grateful for the young volunteers. 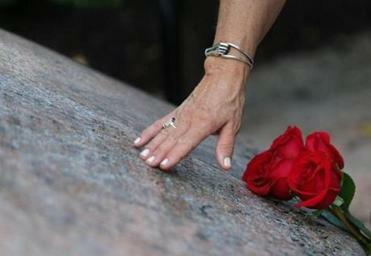 Sixteen years later, he said, it’s still crucial to “take a beat” on 9/11. Molly Castle finished the race in honor of Jeff Coombs.